Develop strong shoulders and toned arms with the DR100 Dip Attachment. 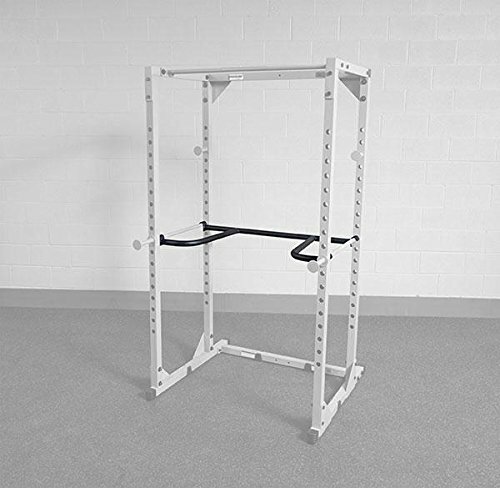 Transform your PPR200 or BFPR100 Power Rack into a powerful dip station with this easy-to-use, easy-to-install attachment. Unlike the competition, the DR100 Dip Attachment spans both safeties providing unsurpassed stability throughout the dip exercise. Tapered handles guarantee that any sized use has a proper fit and starting position. 16lbs. If you have any questions about this product by Fitness Factory, contact us by completing and submitting the form below. If you are looking for a specif part number, please include it with your message.